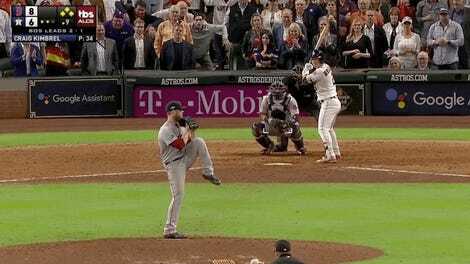 The Red Sox took a 3-1 lead in the ALCS by winning Game 4 by two runs. 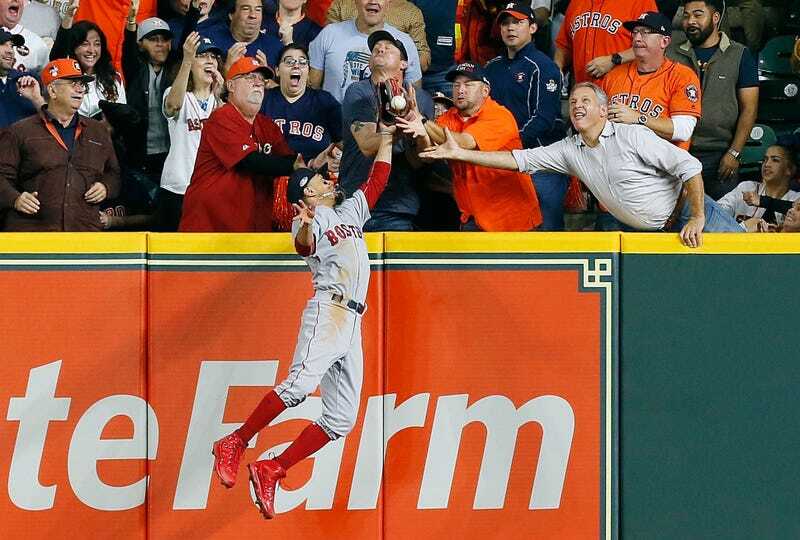 The Astros had a two-run homer wiped out by a truly confounding ruling of fan interference. That’s the math for a call that could be remembered for a very, very long time. That first part means that how once it’s out of the playing field and in the seats, it’s fair game. Fans can touch the ball, the fielder’s glove, pour hot sauce in his eyes, whatever; it’s not interference, and it’s a home run. Since no one denies that a fan or fans jostled Betts’s glove, the only point of controversy here is where the ball was when fans got involved. The replay angles umpires did have access to were not conclusive, they said. Astros fans, and I, and—unscientifically—most people watching would disagree. But the replay review came back and declared that the call on the field “stands.” This is, of course, not the same thing as confirming the call; it is saying they would not overturn the call on the field. So the call on the field is the thing, and that call was made by right-field umpire and crew chief Joe West. Q. What did you see that prompted the initial call of fan interference? JOE WEST: Well, when he jumped up to reach for the ball, the spectator reached out of the stands and hit him over the playing field and closed his glove. Q. So the ball had not yet crossed the railing? Q. And Betts’ glove had not yet crossed the railing, do you believe? JOE WEST: Here’s the whole play, here’s the whole play. He hit the ball to right field. He jumped up to try to make a catch. The fan interfered with him over the playing field. That’s why I called spectator interference. Q. So it’s a clear call in your mind? JOE WEST: I don’t know what he saw. He just — the replay official said I was right. JOE WEST: That’s all. He said I have nothing that can change it. We can never know for absolutely certain where Mookie Betts’s glove was when it was interfered with, or if—even though it doesn’t matter—he wouldn’t made an unbelievable catch if it hadn’t been. I only know what I saw. And that Joe West saw something completely different. And that on such differences, pennants can swing.